Before diving into a new project, I love to take some time to gather inspiration. Like many, I am a huge fan of the mood board. Seeing all of my ideas in one place helps me to identify patterns and trends. While gathering photos for a Penny dress mood board, I couldn’t help but notice five clear categories my inspiration could be filed under. So instead of making one big inspirational collage, I made five! I love how a simple fabric choice can completely change the look of a dress. 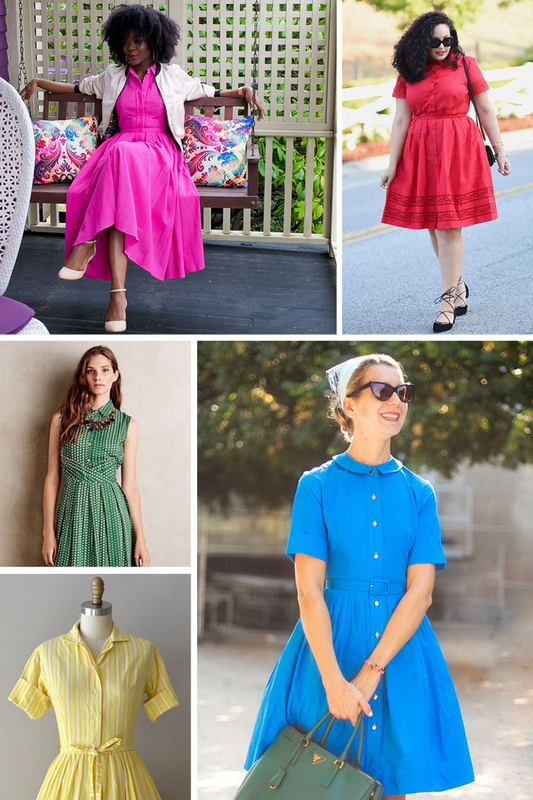 In this post, I share five ideas for creating a classic and modern Penny dress. Penny’s classic design would look modern in a bold, bright color. Whether you choose a solid or a subtle print, bright colors will freshen up this vintage-inspired look. 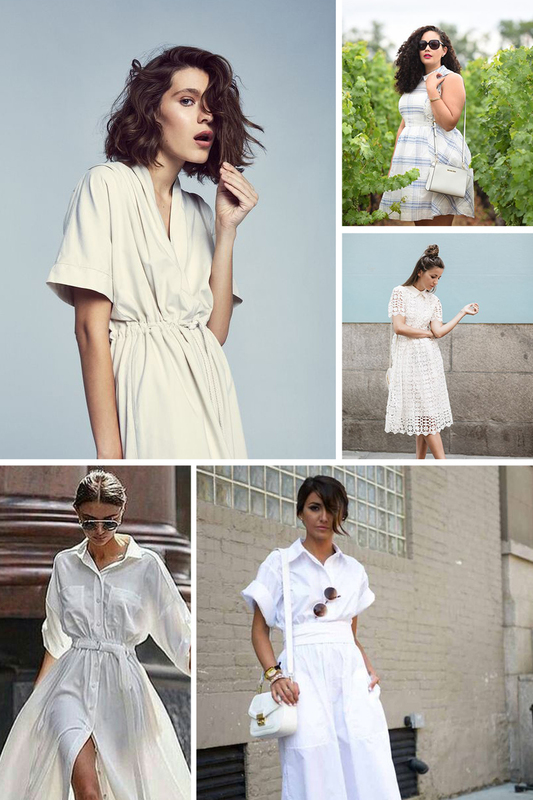 Nothing says summer like a chic, white dress. Try using a textural fabric like lace, eyelet, swiss dot, or linen. Don’t be afraid of going bold. 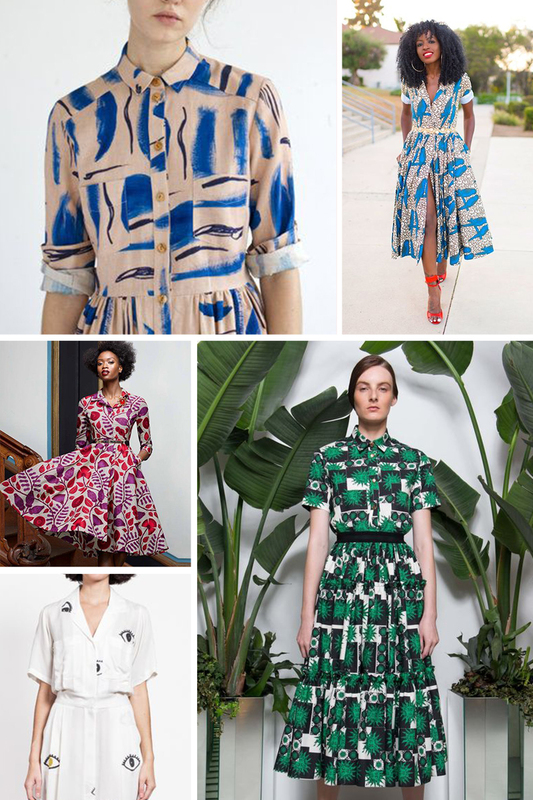 The simple lines of a shirtdress pair perfectly with big bold prints. African wax cloth, vintage sheets, or handprinted fabrics lend a contemporary look to this classic style. Stripes and gingham are always in style. 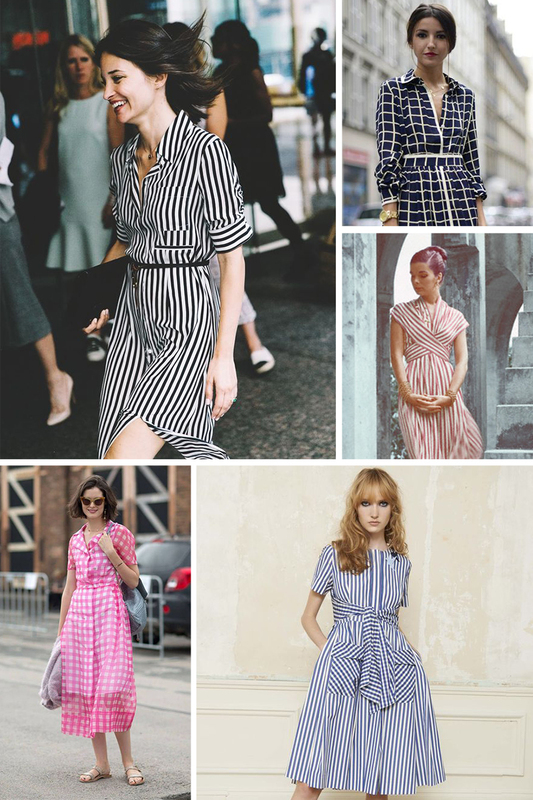 Make a timeless Penny dress by using small or large-scale stripes and gingham. Try playing with directionality to add extra interest to your dress. 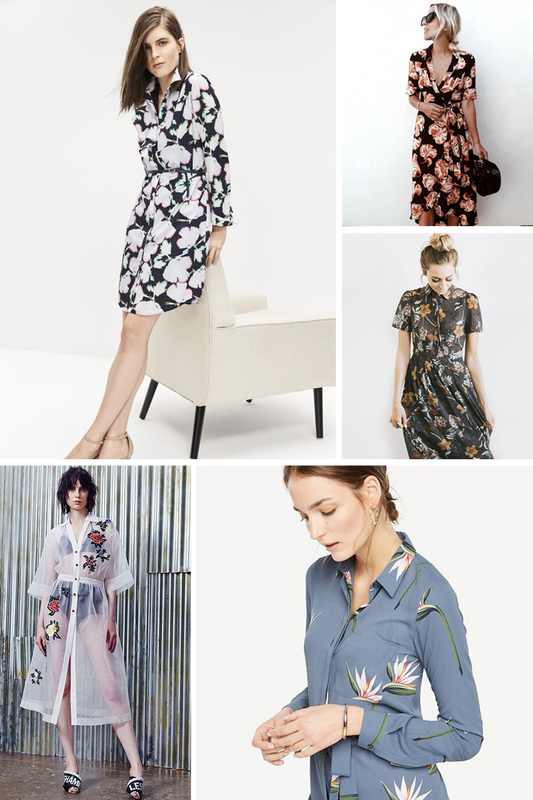 This wouldn’t be a Colette post if we didn’t share some floral inspiration! In our book, you can’t go wrong with a floral-print dress. For Penny, we love large scale floral prints. What are your plans for Penny? Have you picked a fabric? Looking forward to hearing your plans! What are your favorite kinds of fabric prints? Ask the readers: Is your taste in fabric different from your taste in clothes? Why isn’t Penny available to buy with Seamwork credits??? I wanted her the day I first saw her…*swoon*…. sadly…can’t buy it with my credits??? I also wanted to use my Seamwork credits for this. I’m hoping it becomes available soon. I’m itching to try it! Hi, Laura! Penny isn’t up in the Seamwork shop yet, but it will be available for download after our next pattern release in the fall. In the meantime, if you don’t want to wait, we have a coupon code for Seamwork members. Check your email announcement or send us an email if you can’t find it! Opps!! I can’t find my coupon and I TOTALLY Can’t wait!!! LOVE PENNY!! These are awesome, exactly what level sewer is the Penny pattern recommended for? Really want to try it. I loved the Penny dress as soon as I saw it too. Great work Colette. You provide all the patterns for my work wear. All these photos seem to be shared uncredited – unless I’m missing the credits or a link to a Pinterest board?? Would be good to know sources, and I’m sure the photographers, designers etc would be happier with that too.